Prime small acreage location close to town with panoramic & mountain views! 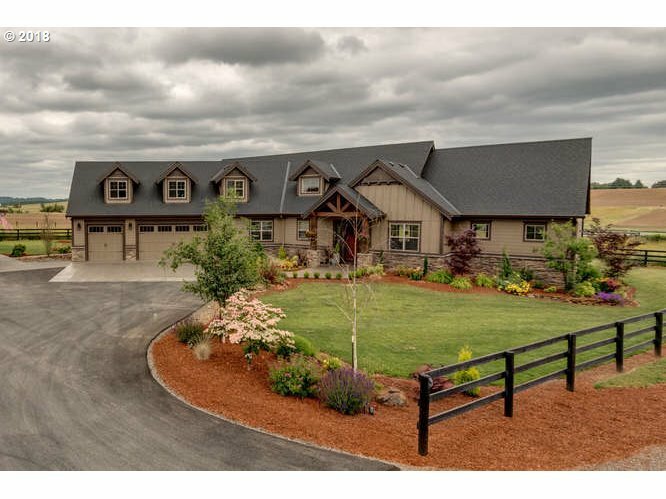 This 2016, custom built home has every detail accounted for. Expansive master suite on the main level, custom built-ins, cabinetry and finishes. Upstairs boasts 3 bedrooms, bath with large bonus room. Cross fenced and ready for horse lover, hobby farmer or room to roam. Minutes to downtown Canby, schools and 99E! Will delight the most discriminating buyer!